Lucy will be over 13 meters (over 45 feet) from tip to tip, but most of that is the huge solar panels (each over 6 meters (20 feet) in diameter) needed to power the spacecraft as it flies out to the orbit of Jupiter. 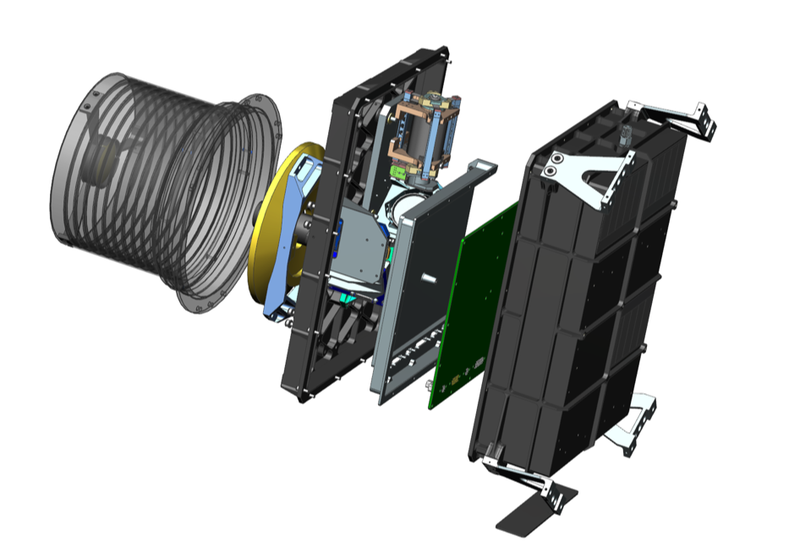 All of the instruments, and the 2-meter (6.5 ft)-high gain antenna needed to communicate with Earth, will be located on the much smaller spacecraft body. Lucy’s instrument platform will carry four instruments for remote-sensing science. 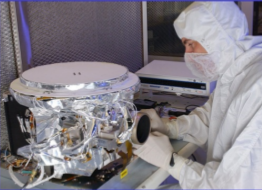 L’Ralph is Lucy's color visible imager (the Multi-spectral Visible Imaging Camera, MVIC, 0.4-0.85 microns) and infrared imaging spectrometer (Linear Etalon Imaging Spectral Array, LEISA, 1-3.6 microns). LEISA will allow us to look for the absorption lines that serve as the fingerprints for different silicates, ices and organics that likely will be on the surface of the Trojan asteroids. MVIC will take color images of the Trojan asteroid targets, and help determine how active they are. 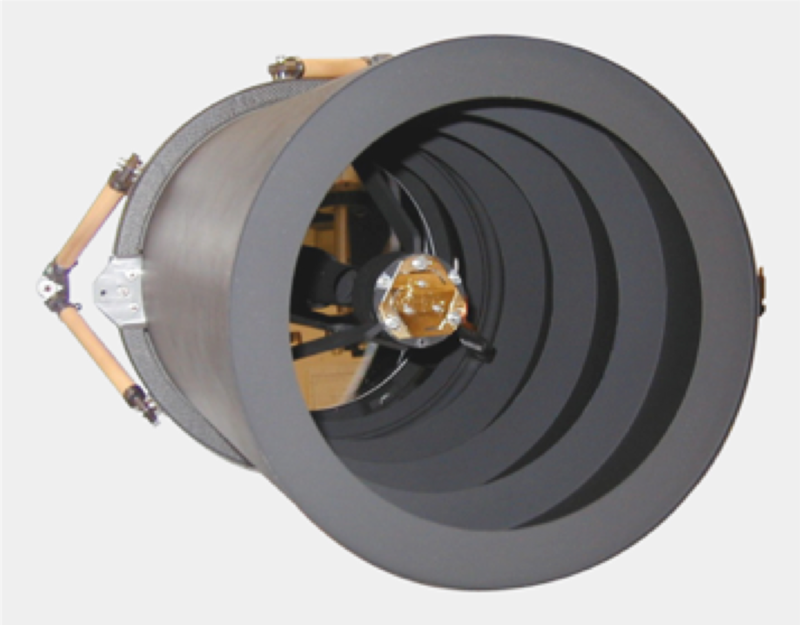 L’LORRI, the LOng Range Reconnaissance Imager is the high spatial resolution visible imager. It is panchromatic, covering the wavelengths 0.35-0.85 microns. 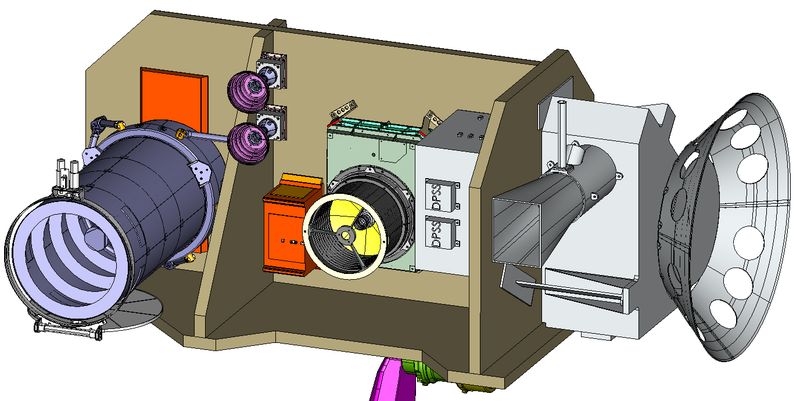 This camera will provide the most detailed images of the surface of the Trojans. L’TES is the Thermal Emission Spectrometer. It is similar to instruments flying on OSIRIS-REx and Mars Global Surveyor. This infrared spectrometer (6-75 microns) will allow the Lucy team to learn much more about the properties of the Trojans such as their thermal inertia, how well the bodies retain heat, which teaches us about the composition and structure of material on the surface of the asteroids. Additionally, Lucy will be able to use its High Gain Antenna to determine the masses of the targets using the Doppler shift of the radio signal. Lucy will also be able to use its terminal tracking camera (T2CAM) to take wide-field images of the asteroids to better constrain the asteroids shapes.